Join us for the 46th Annual Library Chess Tournament. Competition will be held on two levels: the Junior Division for grades K-4, and the Senior Division for grades 5-8. 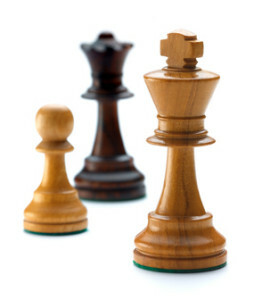 The winners in each division will represent the library in the Allegheny County Chess Tournament held in late March. Registration is free. Please stop by the library anytime before the event to fill out a registration card or call us at 724-449-2665 to complete one over the phone. It is important that we have the participants’ names and grades before the event. On the day of the tournament, bring a chess set and board with you (not necessary if you don’t have one) and arrive 15 minutes early.